An introduction to Indian vegetarian cooking. Over 100 recipes and detailed instructions on preparing all the essential, unique ingredients that make up Indian vegetarian cuisine. Designed to help you prepare authentic Indian meals in your own home and to acquaint you with the tradition behind India's great vegetarian cuisine. It explains not only the techniques of Vedic, or classical Indian vegetarian cooking, but also the Vedic art of eating, which nourishes both the soul and the body and mind. The first four chapters discuss Vedic philosophy and vegetarianism with corroborations from classical and modern science, religion, and ethics. The next three chapters talk about the meal itself: the utensils used for cooking, dishes that go well together, and everything else you might need to know about preparing, serving, and eating an Indian meal. Then come 130 kitchen-tested recipes. Although this is only a fraction of the thousands of possibilities offered by the Vedic culinary tradition, these recipes, chosen for their diversity as well as their ease of preparation, give an idea of the vastness of Vedic cooking. 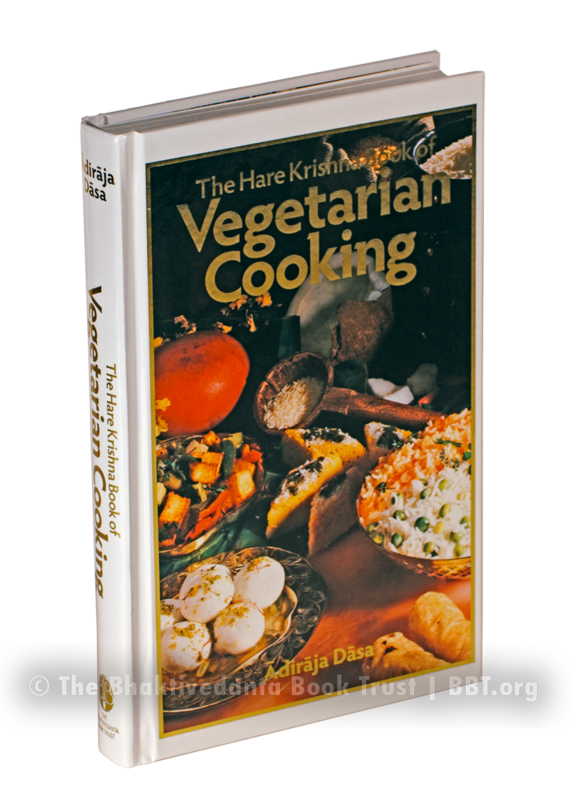 The recipes were contributed by the best cooks in the Hare Krishna movement, some of whom were taught by Srila Prabhupada himself.